Throughout the 7 weeks season, rain and wind can cause frequent problems for lights. Our maintenance is the essential part of our service. Our price includes the entire service package. 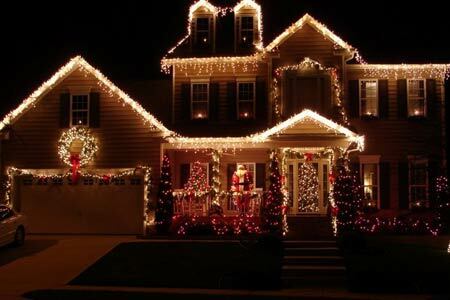 We offer a wide range of styles and colors and guarantee our lights and material will operate through the entire Christmas season. Call now for your specific installation date. We book up extremely fast every year, so please call right away. See you soon!